I've heard so much about this show but have yet to watch an episode. The season three trailer that was released at the San Diego Comic-con certainly looks interesting. No I am not -this one just does not interest me....I like some sci fi however dont much like fantasy generally...don't know where you draw the line in the difference though? This is the first I have heard of it. I like the sound of the guy's voice, but that was the only thing that got me interested. 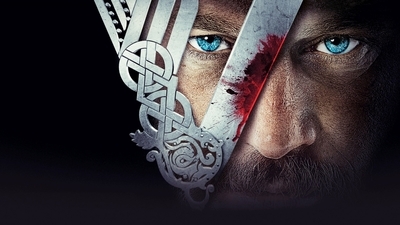 I love decent fantasy shows, so I'm looking forward to checking Vikings out. Vikings are among the most vile people ever to inhabit the planet. To see them portrayed as noble heroes defies logic. The only viking show I would ever watch is one which correctly shows the vikings as the merciless, vicious fiends that they truly were. They were great explorers' though, & reached as far as Turkey. They built superb sailing vessels. As you said, I agree, they were a cruel & barbarous people. One wonders why, as their current Scandinavian descendants' don't seem to be of the same ilk. I have watched the first two series and it does a reasonable job of portraying Viking life reasonably realistically. Very bloodthirsty people but that's what they had to do to survive. I enjoyed it. If you like game of thrones you will probably like this. I have just started watching Vikings not quiet what I expected. I will keep watching to see how it goes. No , but my husband ,who watches very little TV , other than football, news, and Alan Kohler's finance segment on ABC does .... He loves it. I think it satisfies all his primal desires....plunderous bloodletting and conquests all in the name of capital and territorial expansion !! !...Ohhhh and not forgetting the ravishing of beautiful maidens!! !